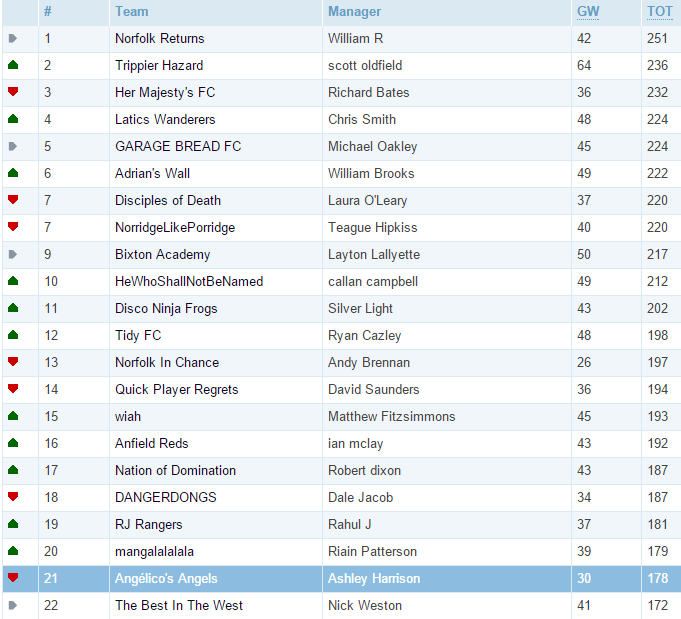 Plenty of movement within the table this week, as people get great scores on the whole. 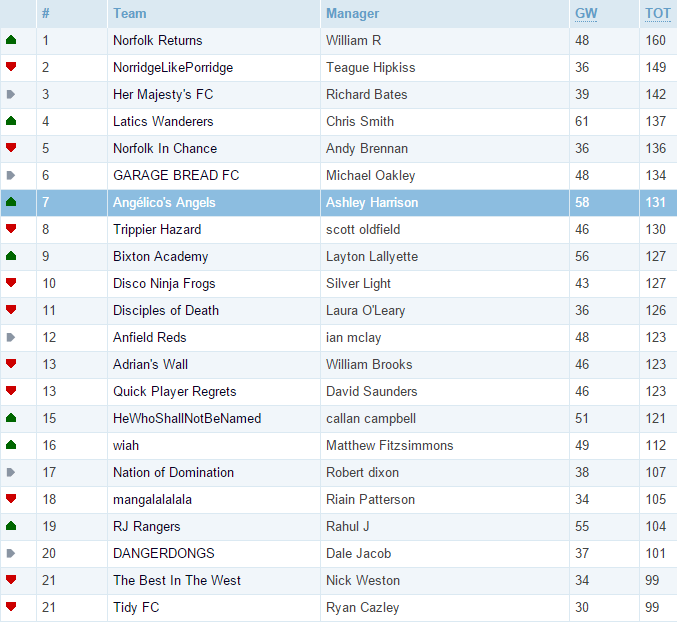 Teague manages to take the top spot, after displacing Will on Monday night by just a single point. Not so much of a nice scene down the bottom of the table, however, as the bottom 8 teams all fall places. 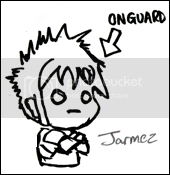 Dramatic movement in the wrong direction calls for drastic managerial measures. I'm simply wild about what happened. 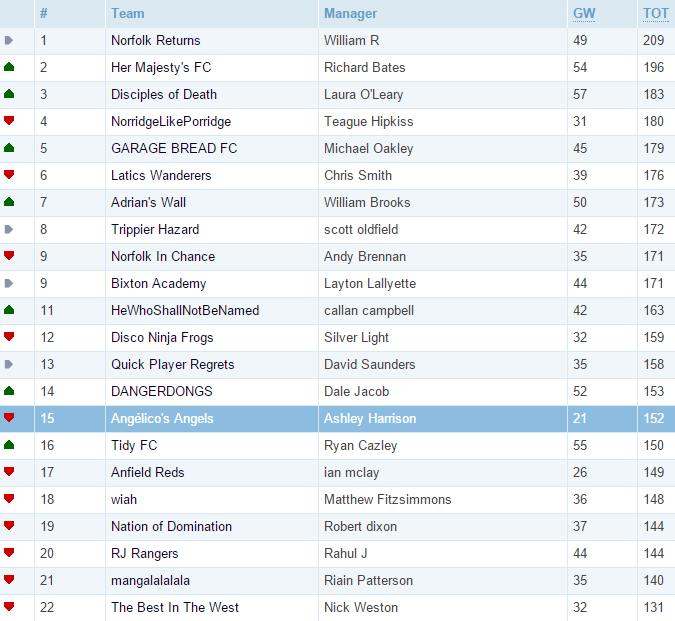 Something has gone terribly wrong for Her Majesty's FC, next week we will regain the top spot! Good to see I'm still on top just barely after my dire 'Keeper situation and bad choice of Captain. Really looking for Chelsea to step up their game, or I might have to just swap them for Man City players. Because updates are better late than never, here's last weekend's results for our table. Back in the game, used my wildcard this week to patch the last few holes from a poor initial team selection so hoping for another good week. Come on Kane and Rooney, both missing one on one's this weekend! 55 points this week, pretty good. I had a poor round a couple of weeks ago and plummeted to the bottom but I'm slowly creeping back up the table. Alright lads I know I'm not in this league but are any of you boys able to rate my team while I've still got my wildcard for a couple of hours? Hi Andy sorry I didnt get to you in time but apart from Cresswell and Fabianski there isn't too much wrong with that posted team. Personally I wouldn't pay that for Benteke but I know people that would ... so each to their own with regards to Benteke. I suppose you can get away with Fabianski if you must. All my opinions .. and I'm currently mid table so maybe get Ash's opinion too? I know it's late, but I'd say swap Redmond for Hoolahan and it's a fine team. Though I am stupidly low in the table, so what do I know? 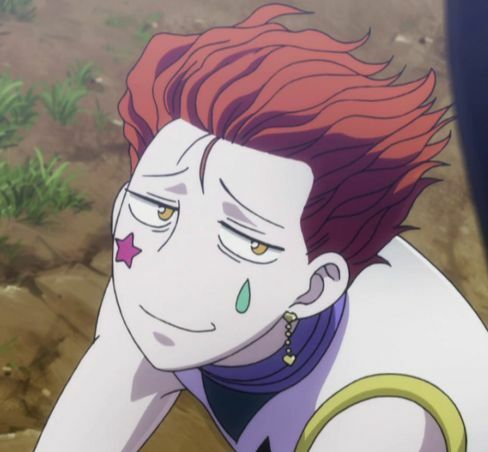 Double post because screw the rules. I both regret and don't regret making a huge amount of transfers this week. Lots of movement though in the table. 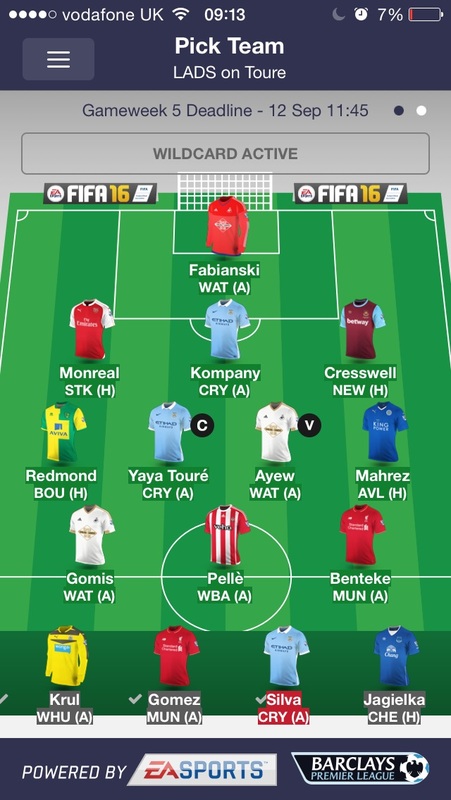 I managed to get away with a double transfer and minus 4 points last week. Gonna try and get away with just one transfer this week ... fingers crossed and scarves and whistles Good luck fellow managers. This season has had some odd results so far I must say. Who could have predicted the top 5 midfielders at the start of the season? Not me. Finally Hazard ! .. I kept him in for far too long really, but finally see a reward. What with Mahrez and De Bruyne .. my midfielders are showing my forwards how its done. I took Hazard, Silva and Aguero out of my team and I don't regret it one bit.